Item Descripton: Bee Backings & Borders by Lori Holt of Bee in my Bonnet for Riley Blake Designs are great for quilting, apparel and home décor. 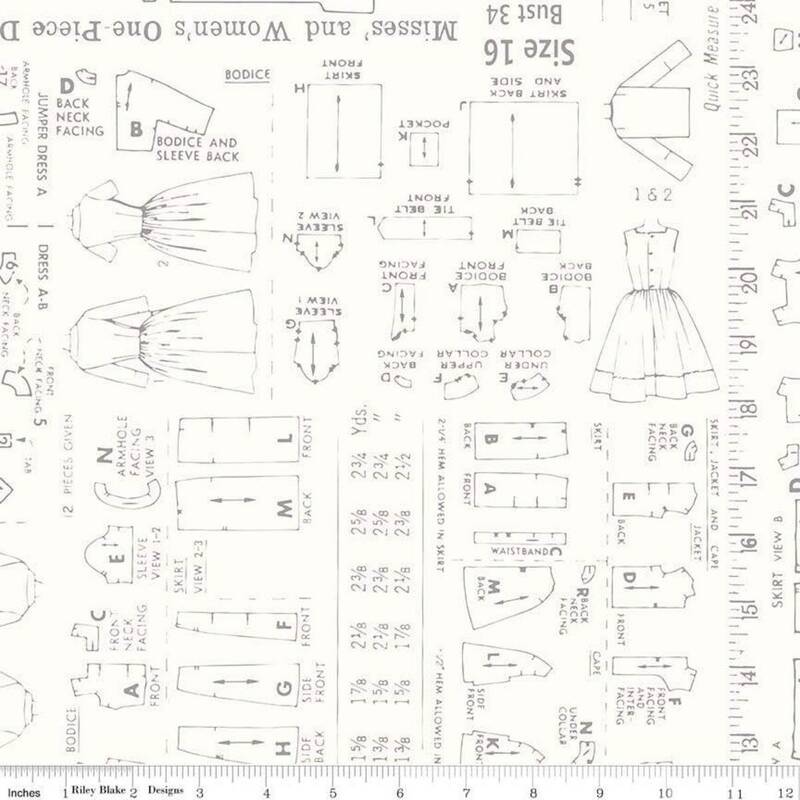 This print features a vintage sewing pattern. It's 107"/108" wide to accommodate most quilt backs.